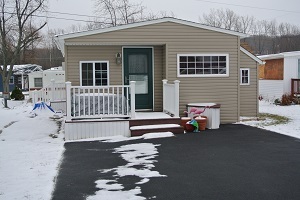 189 Cherrywodd - Leisurewood Campground, Inc.
1983 39' trailer with add-a-room - made to look like a small house. Sleeps 4 fully furnished located in Cherrywood Commons. Paved drive and shed.